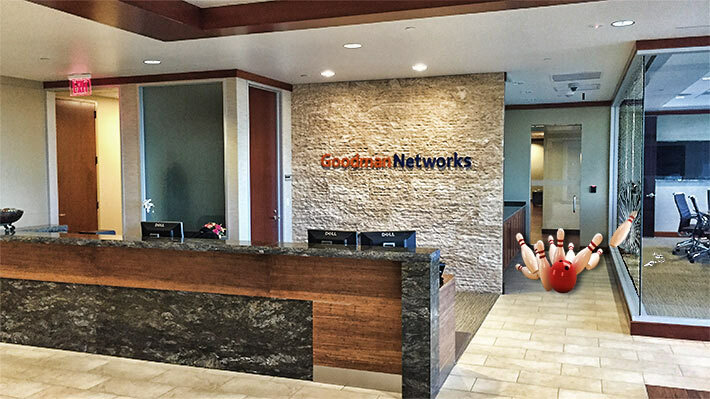 You could roll a bowling ball down the corridors of Goodman Networks’ corporate offices in Frisco, Tex. and not be fearful that you would hit a company executive. They all resigned on Nov. 21, 2016. Frisco, Tex.-based Goodman Networks’ Chairman and CEO Ron Hill gave notice on Nov. 21, 2016 that he would be resigning and his last day on the job would be Dec. 21, 2016, stating that he had “good reason” to quit as defined in his employment agreement that had been frequently updated since he served as the company’s Vice President of Professional Services in 2008. And without going through an executive search firm for his replacement, it would be likely that Chairman John Goodman would view six other senior executives for the position. However, the company’s EVP and General Counsel, EVP of Sales, EVP of Professional Services, EVP of Business Operations, EVP of Human Resources, and the EVP and Chief of staff aren’t interested since they too tendered their resignation when Hill did. Goodman Networks said in a corporate filing that they didn’t agree that any executive had “good reason” to resign and intends to defend itself vigorously against such claims. It is possible that if the executives can identify that their resignation was based upon reasonable concerns, they could be entitled to compensation, as detailed in their employment agreement. The once high-flying turfing contractor was founded in 2000 as a small family owned and operated firm providing services for AT&T. The rising star company had grown to $35 million by 2004; two years later it was $117.6 million. In 2009, the company added 461 engineers to its network design, engineering and optimization staff, and completed a $225 million bond offering in 2011 to fuel continued growth at a time that revenues eclipsed $700 million. Revenues hit $932 million in 2013 when they acquired Multiband, shoring up their revenue drop in 2012 of almost $100 million. In April of 2014, Goodman filed for a $100 million initial public offering, but submitted a registration withdrawal of its IPO in August of 2015. On Dec. 4, 2014, Wireless Estimator was the first media outlet to report that Ernie Carey, Senior Vice President of Construction and Engineering for AT&T, had been hired by Goodman as its chief operating officer. Although Carey left AT&T at a time when the carrier was sharply cutting back on its infrastructure development, it was expected that through his AT&T contacts Goodman would capture additional turfing markets. But Carey, whose salary was $450,000 per year, quietly left the organization three months ago to start his own consulting firm, although he still had at least four months left on his employment agreement. Although there had been rumors that Goodman’s revenues were in a serious decline, it was obvious when on March 10, 2015 the company let go an additional 340 employees. A year later, Moody’s issued a devastating report, downgrading the company with a negative outlook, raising their concern as to whether Goodman could meet its obligations over the next 12-18 months. Revenue for 2015, $725 million, had declined 40% year-over-year due primarily to decreases in the volume of projects completed with AT&T. Moody’s said that Goodman could take advantage of opportunities in 2016 to win additional work from AT&T (including DirecTV) and new customers Sprint and CenturyLink, which could diversify Goodman’s revenues and help stabilize the business. In June, Goodman announced that they had sold certain wireless and wireline assets to Dycom Industries for $107.5 million. However, Goodman’s contract backlog fell far short of what Dycom expected and Wall Street pummeled the company’s stock last week. Goodman was required to put $22.5 million of the Dycom sale into an indemnity escrow account. It is not known whether Dycom can capture any of that escrow funding if they believe there was a valuation gap in the asset sale. John Debus of FTI Consulting was hired to serve as Goodman’s interim chief financial officer. FTI will be paid $70,000 per month for his services. On Nov. 15, 2016, Hill, Larry Haynes and Steve Elfman, president of Network Operations and Wholesale at Sprint, resigned from Goodman’s board of directors. John Goodman did not resign and appointed Jason Goodman, James Goodman and Jonathan Goodman to the board. They in turn appointed John Goodman as Chairman of the Board and Executive Chairman. 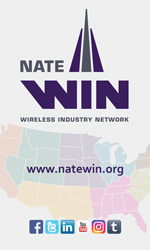 Shareholders of company said that in the past few months, they became increasingly concerned about the approach taken by the corporation to resolve issues with the corporation’s relationships with its creditors, especially the holders of its senior notes, and on preserving and improving the Goodman’s relationship with its most significant customer, presumed to be At&T.